For measuring chemical metering pump flow, an H2O Rx Calibration Column (or draw down cylinder) is ideal for calibration checks. Typically, this is achieved by using a calibration column sized to measure the pump flow rate over a 1 minute (or occasionally 30 second) timeframe. Glass - with a range of wetted end connection materials including PVC, CPVC, Polypropylene, PVDF (Kynar), Teflon (PTFE), and 316SS. Stocked types are typically threaded top and bottom connection. In addition, open topped and dust caps types are available in the plastic ranges. Stocked connection types are typically BSP. In addition NPT in plastic and glass ranges, and socket and ANSI flanged in the glass ranges are also available..
H2O Rx Calibration Columns (or draw down cylinder) are designed to be connected to the suction side of a pump. The "drawdown" is timed (typically over 1 minute) and the pumping rate (or flow) can then be calculated. Modular Installation Systems for large calibration columns. It is not always practical to install a 10L or 20L calibration column on a dosing skid. These are often field installed meaning your site costs are higher. 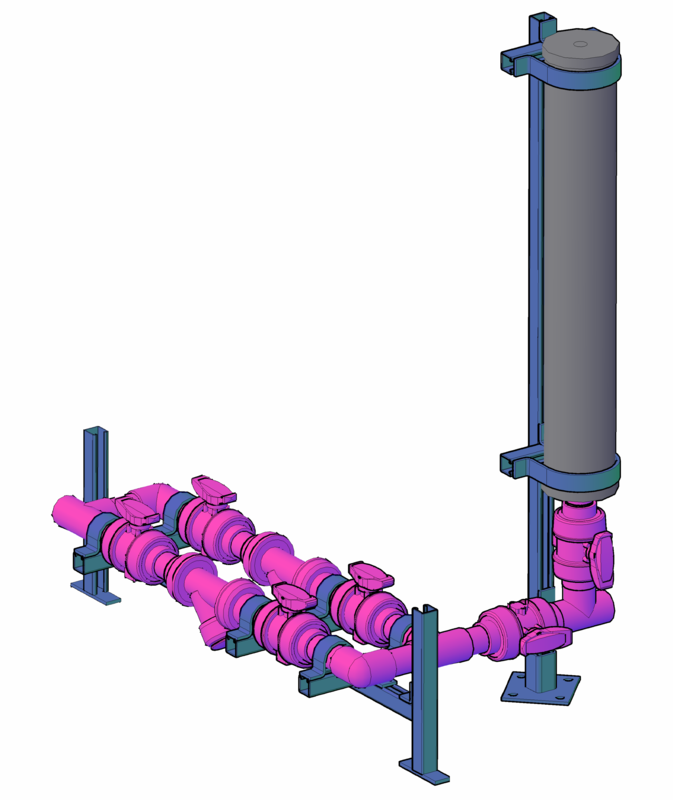 H2O Rx has developed an installation system for the large capacity calibration columns. Dust Caps are designed for the top connection of our PVC calibration columns to prevent dust and environment ingress while still allowing the calibration column to "breathe". They should only be used where the top of the calibration column is above the chemical level. Orifice plates are designed to provide a known relationship between flow rate and the pressure drop across the plate. 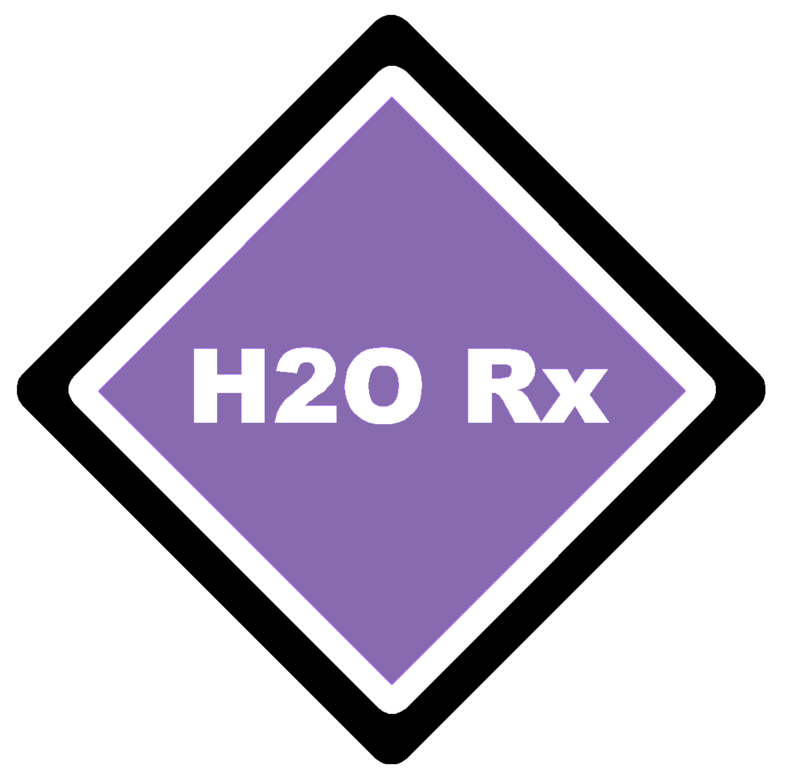 H2O Rx has a standardised parametric design methodology to create an orifice plate design to suit your needs. Standard sizes range from DN50 to DN1200. A design certificate detailing Flow vs Pressure Drop and Pressure Drop vs Flow in convenient look up tables is provided with each Orifice Plate. Rotameters are simple flow measuring devices for constant pressure applicaitons. Often used for dilution or carrier water applicaitons, these allow you to set a fixed flow rate of water to dose chemical into when paired with a suitable valve. In ranges that cover 0.38 L/min to 50 L/min these units should suit most applications. A drawing detailing this range of Calibration Columns. CAD drawing available on request. 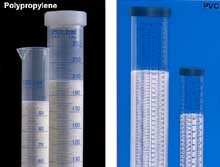 Polypropylene Calibration Cylinder Dimensional Drawing. CAD Drawing available on request.